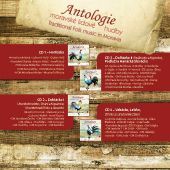 The seventh-album representative selection of bands and singers who have significantly contributed to maintain an authentic form of musical traditions of their region is an attempt to reflect the current form of popular music-making in large and small Moravian folklore regions. Each part of the five-album compilation is completed with explanatory notes and a booklet outlining the music history of a particular region, its most important ensembles, musicians and singers. Each album is packaged in a separate paper digipack with at least 28 page booklets and it is also possible to purchase each of the albums separately. A special package will include all 4 digipacks in a cardboard box. 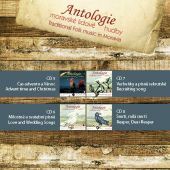 The decisive criterion for the selection was mainly the structure of the repertoire – if possible, this anthology preferred local natives without formal musical training who learned to sing and play in local bands, from their co-natives, friends and relatives. Especially in Wallachia, in Kopanice, in Strání, in Horňácko region and in some parts of Dolňácko region (in Uherský Brod, Uherské Hradiště and Strážnice regions) they managed to maintain continuity with song tradition of the last century, somewhere even in the nineteenth century; it’s not only the merit of numerous singing and musical families but also of many collectors of folk songs and local personalities, mainly the enlightened teachers, mayors or priests. 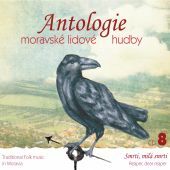 Many of the selected bands directly continue in the tradition of their predecessors, others, founded in the postwar euphoria of folklore ensembles, gradually worked out their repertoire by reconstructing of preserved regional music material, others were founded recently in places where there was a break of continuity of folk musical traditions and they reconstruct the songs from fragments.